Not every snowboarder who was raised on Aspen's steep slopes can say they took a childhood hobby and converted that passion into being a professional athlete. But 26-year-old Jordie Karlinski grew up in Aspen and evolved her homegrown skills on the competition circuit all over the world, becoming famous for stomping cabs and backside spins that have put her on the podium in the U.S. Open, Euro Open, and Dew Tour. These days, she is taking a break from life on the road and constantly competing to recharge at home in Aspen and explore her powder-filled backyard a little more. As is the case for many professional athletes, it can be a tough transition to leave the competition world. 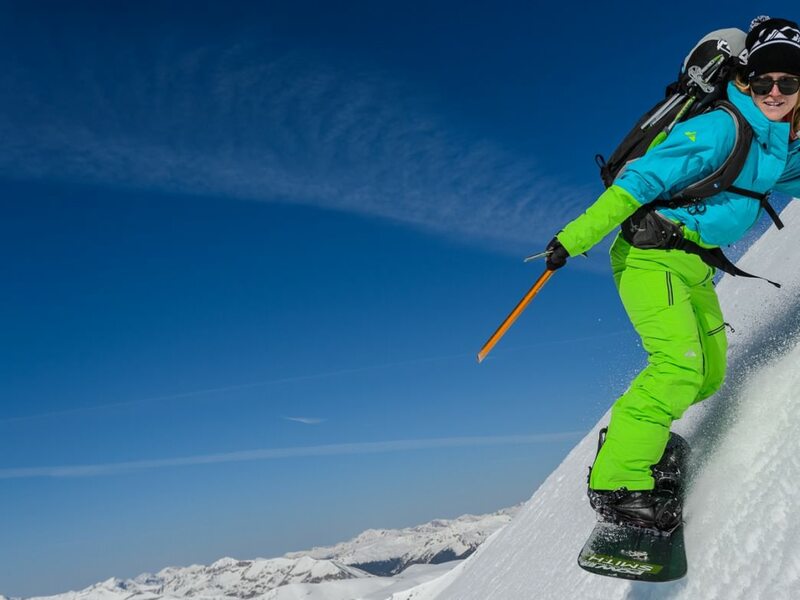 Karlinski has been defined by her snowboarding her entire life, but now she has been rediscovering what it means to her to enjoy riding just for her, and not for a medal. Coming back to Aspen, Karlinski says she is seeing the valley with new eyes. Most days you can find her making her way up the legendary Highland Bowl hike, conditioning her legs on the arduous bootpack, and soul-carving her way down the long spines of the G's or Ozone. 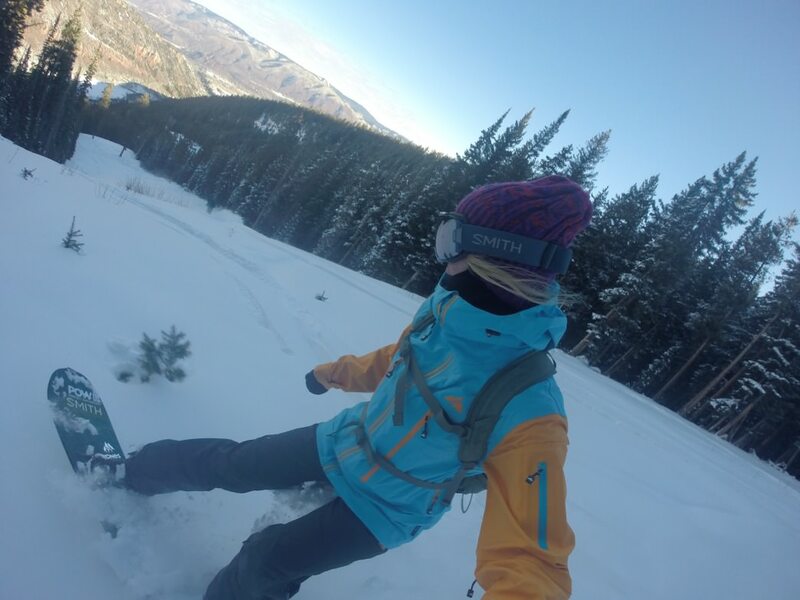 A new passion has also become skinning on her splitboard, from training on Tiehack to touring up the backside of Aspen Mountain. 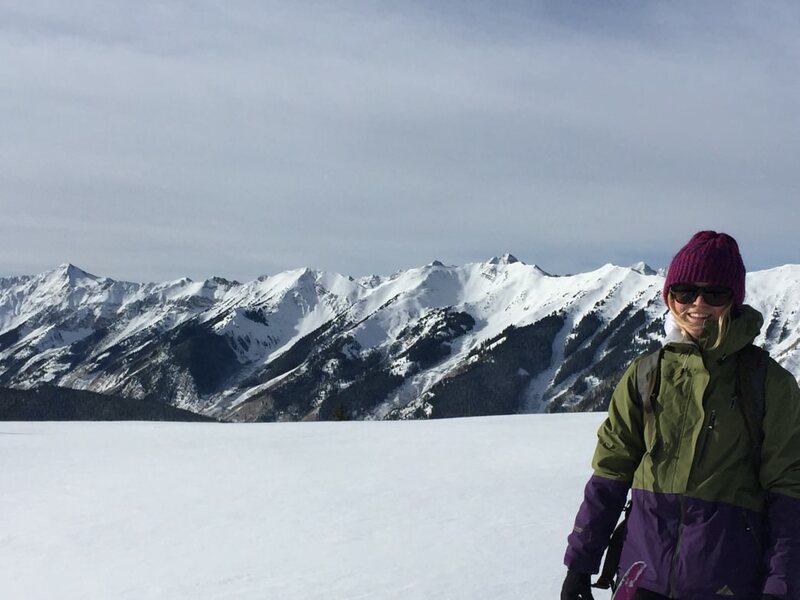 Karlinski is promoting her passion among the women of Aspen as well, helping them explore the backcountry and earn their turns. And when the snow melts, she transitions to climbing mountains, hiking the towering 14er peaks of Colorado. 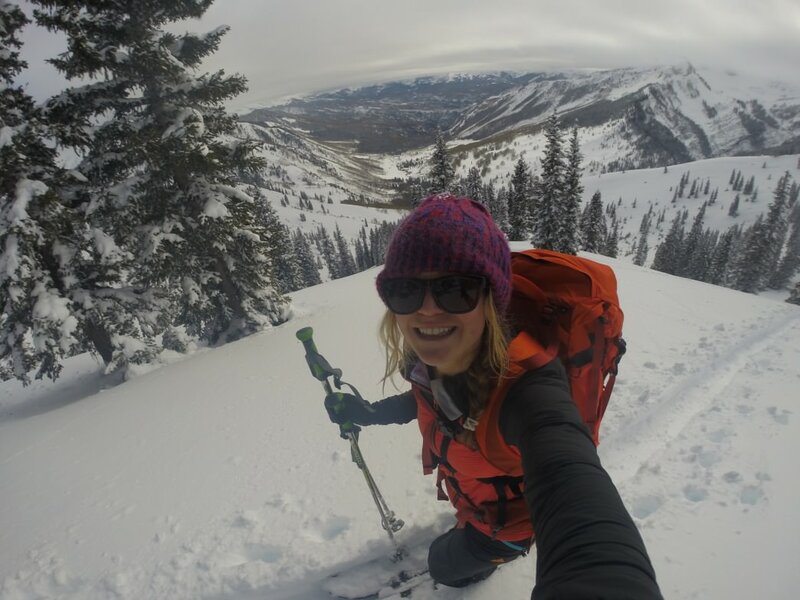 Karlinski recently sat down with RootsRated to discuss her adventures around Aspen these days. Here's what she had to say. I started snowboarding when my family moved to Colorado when I was five years old. My parents and my older brother and sister started snowboarding. Before that I had learned to ski but, it was a good transition for me. When I was seven I joined the Aspen Valley Ski and Snowboard Club. I started competing when I was eight in local USASA. I was the only girl in my division, so I got to go to Nationals every year. But as I got older I started to compete nationally and started doing more pro Boardercross events: Vans Triple Crown, Gravity Games, and X Games. But my passion was Slopestyle, and I made the U.S. team until right before the Olympics. What was the “Road to Sochi” experience like for you? The U.S. Team was a lot of fun. I loved my teammates and my coach. I had some of the best experiences of my life. But it was a hard circuit. The Olympic qualification process was tiring and nerve-racking. And even though I rode the best I have ever ridden, I didn't get the scores I needed. You have transitioned to spending a lot of time in the backcountry now. Tell us about that. I am psyched at where I am at now. It was a natural progression to spend more time in the backcountry here, exploring our backyard. I have been on some incredible adventures with friends going on hut trips and touring on my splitboard. There is great terrain around Aspen. The backside of Aspen is a great place to start, with an easy uphill and long runs down Little Annies. 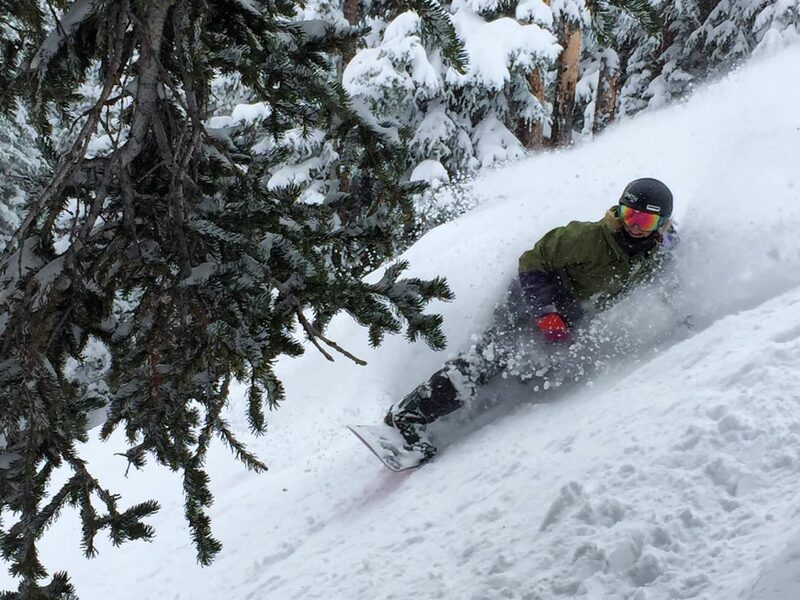 And just down the road in Marble is some of the best backcountry in Colorado. I practice yoga twice a week. It definitely helps with years of impacts during competition. It helps my body recover so I can do what I love to do. It's also a good cardio workout when you don’t realize it. And it has really opened my eyes to breathing. What fuels your passion for snowboarding? I think it is being outside in the mountains and getting to ride with friends, whether new friends and old friends, and meeting people. It's so nice to be in the fresh air and have a good time, whether it's inbounds on groomers, inbounds on a powder day, or in the backcountry. Tell us about the For Women, By Women Uphill and Backcountry Program. Some friends and I came up with an idea to do an introduction to uphill and backcountry series for women skiers and boarders. It spans January, February, and March. [Our next event is] on February 16, an intro to backcountry class lead by certified guides. We want to build backcountry awareness, and we know it's hard for women to get out there and it can be intimidating. So we wanted this series to be a really inviting and comfortable environment to help empower them. And the series culminates in a hut trip to one of the 10th Mountain Division Huts in the Aspen area. 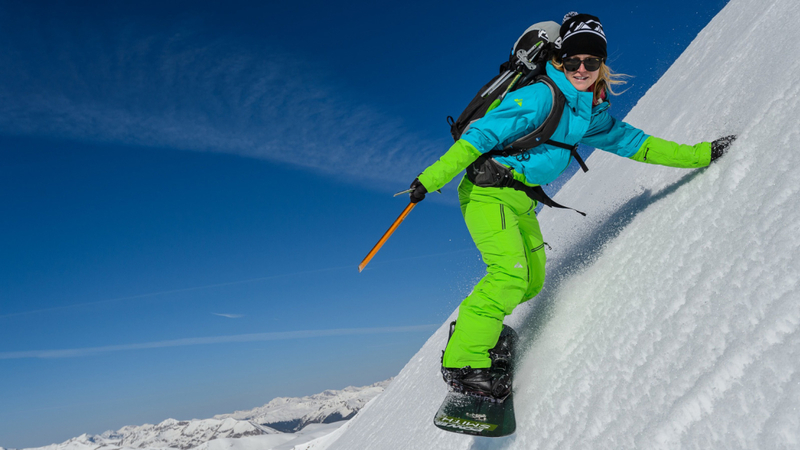 What advice do you have for women looking to get in the backcountry? First things first, take an avalanche safety course. It's super important to gain knowledge even before you hit the slopes. And I think it's important to develop a good group of backcountry partners that you can trust, and they can trust you. And staying physically fit helps you build on skills. And never stop learning. Just because you have taken a class doesn’t mean you are good to go, you can always keep expanding your knowledge in the backcountry.